The SE (Spa Edition) chair features an ergonomically designed Vibra-Massage + Heat total relaxation system. 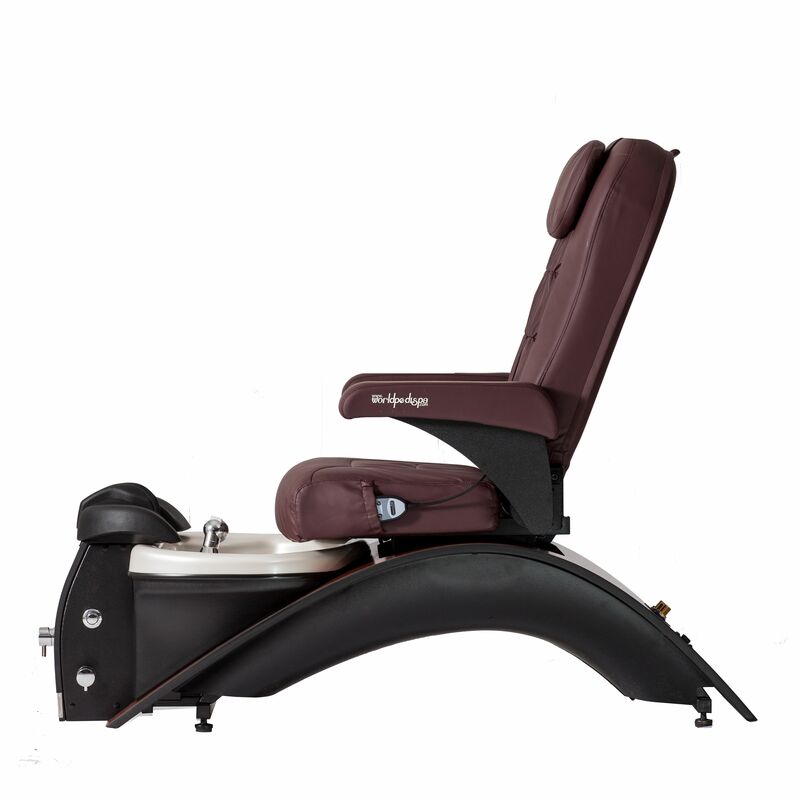 Clients are massaged by four (4) whisper quiet, oscillating motors embedded into the incredibly comfortable seat back. Vibra-Massage and Heat are controlled independently by simply adjusting the intensity and location on the client’s remote. 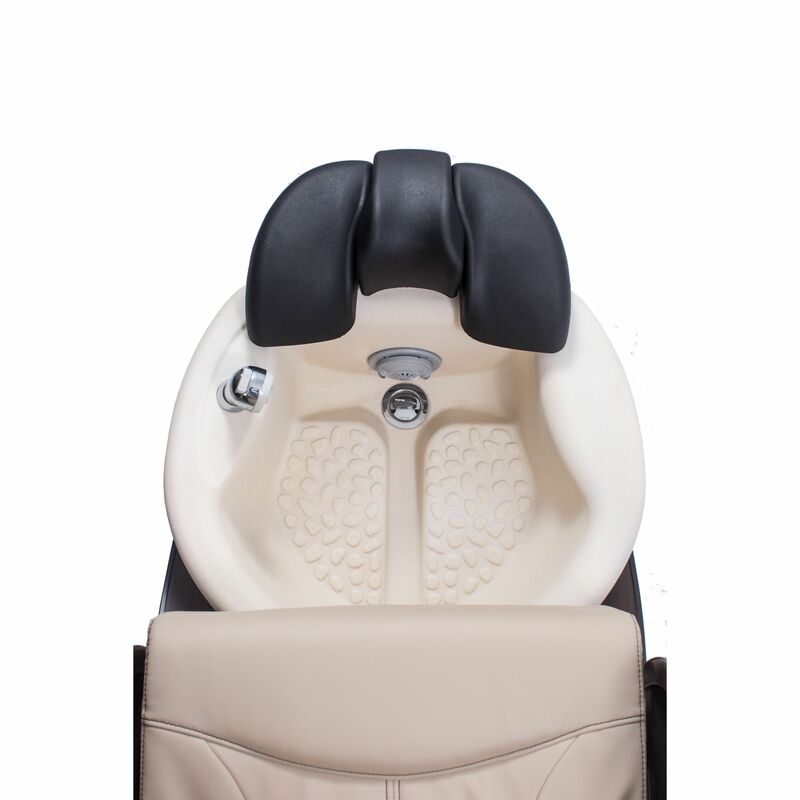 Vibration and Heat are embedded into the seat back providing a unique soothing sensation. SE chair includes a stationary cupholder. 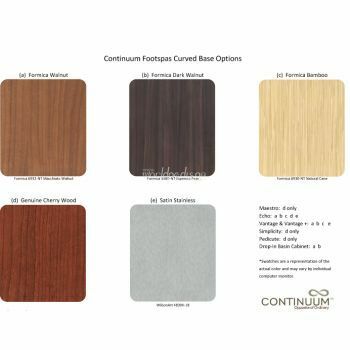 Continuum’s unique acrylic-capped fiberglass basin is extremely durable and produced to resemble the color and look of a classic porcelain tub. 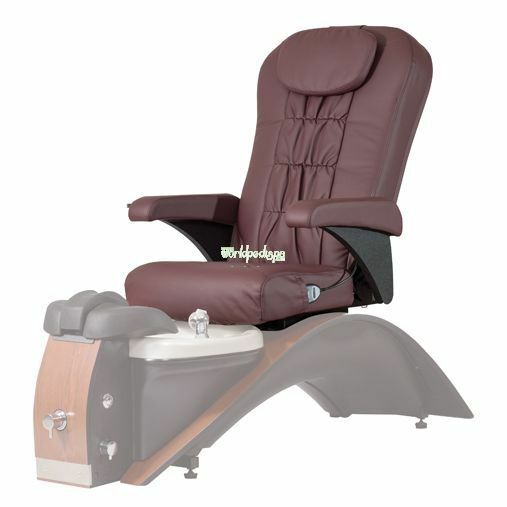 A river stone textured bottom provides additional sensation, enhancing your customers pedicure experience. This stain, chemical and crack resistant basin is also backed by a two (2) year warranty. No more tired and sore arms from holding the clients leg up during the pedicure! Whether you are massaging the calf, working on the heel or paining toenails, the adjustable height center footpad coupled with fixed right and left pads, position the foot perfectly throughout the entire pedicure. Continuum pedicure spas are designed, engineered, assembled and quality tested exclusively in the United States. All major components are produced domestically resulting in superior quality and increased longevity. When you purchase a Continuum pedicure chair you’re assured a high quality pedicure chair built to last. It’s instantly recognizable as “Continuum.” And it looks like nothing else. Created by the renowned designers at Brooks Stevens, the Echo Series is the ultimate combination of luxury and affordability. 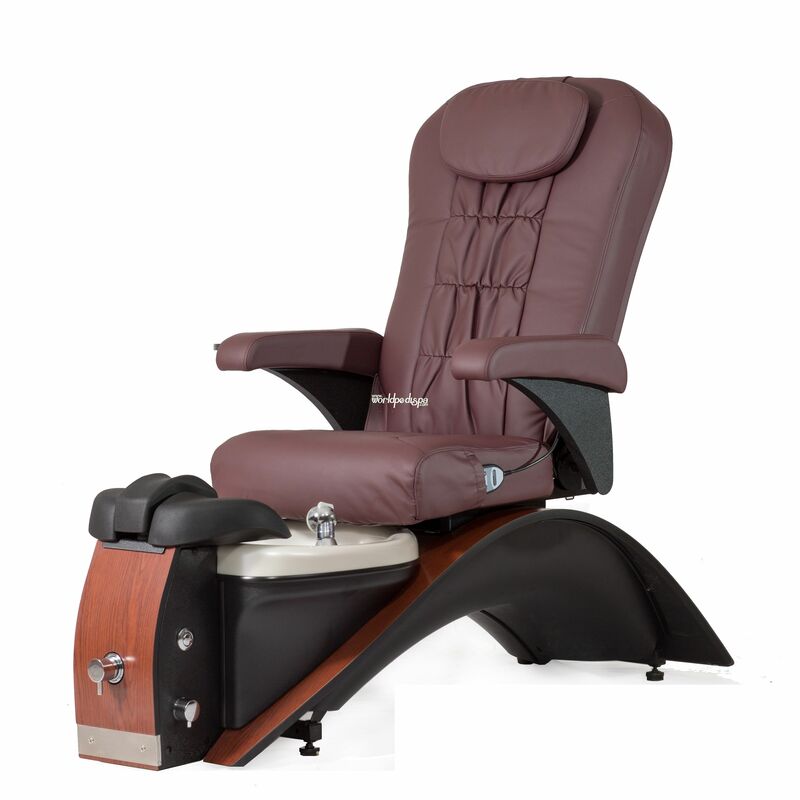 Set your salon/spa above with the one-of-a-kind Echo pedicure chair. Upgrade to the finest, most durable basin available. Handcrafted from a solid surface material similar to Corian®, it is chemical and crack resistant.The 4.75 gallon solid surface basin has a river stone textured bottom. It will look brand new year after year and is backed by a five year limited warranty. Stylish manicure trays have an integrated cup holder and fold down for added convenience. High quality, acetone resistant finish. If pedicure spa ventilation is required in your area, the Echo LE, Echo SE or Vantage VE may be ordered with a vented-air option. Two (2) vents are located within inches of the pedicure footrest area. When connected to an external HVAC system (not included), toxins and odors are vented outside of the building. Provide a safe and relaxing environment by improving the air quality in your salon. 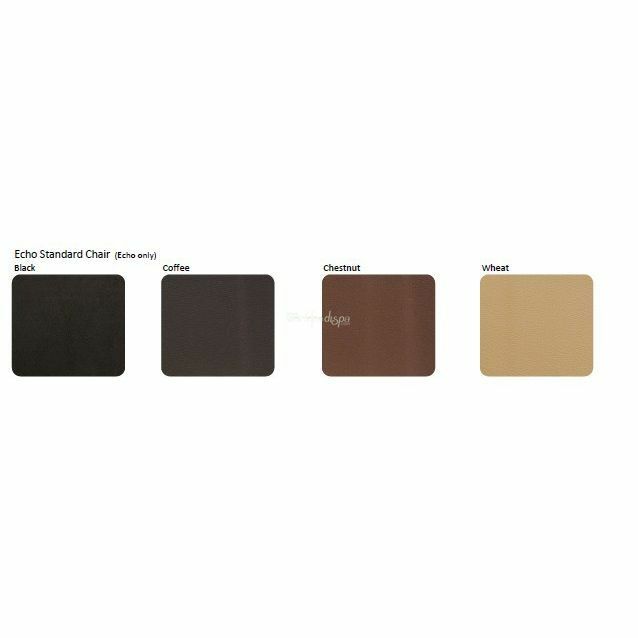 An extensive selection of additional upholstery colors are available to match any décor and pallet. 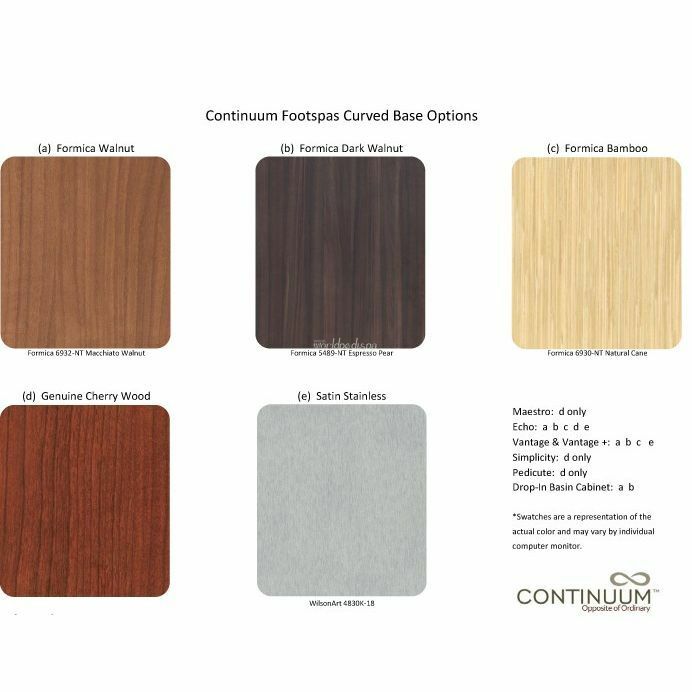 Continuum also provides upholstery with colors or patterns supplied by the customer for a perfect match to existing or new designs. The beauty is in the details. Your salon logo can be expertly embroidered onto the LE, SE and VE headrests. This finishing touch adds elegance and heightens brand recognition. Custom setup, digitized embroidery, superior threads and high-end software ensures quality craftsmanship. The easy access tech control button is a comfortable way for nail technicians to reposition guests. Adjust the forward/backward and tilting positions of the chair with the touch of a button. The chair will automatically stop when fully tilted, upon full forward/backword, or when the movement button is released. The tech control button to control the chair movement is now standard on the LE chair. The tech control button is also available as an after-sale item for the LE chair. It is also available as an upgrade option for the SE chair. Note: Due to continuous improvements, all specifications are subject to change without notice. All demensions and weights are approximate. a licensed plumber in accordance with all national, state and local codes/regulations. * Actual colors may differ due to variations in your monitor.